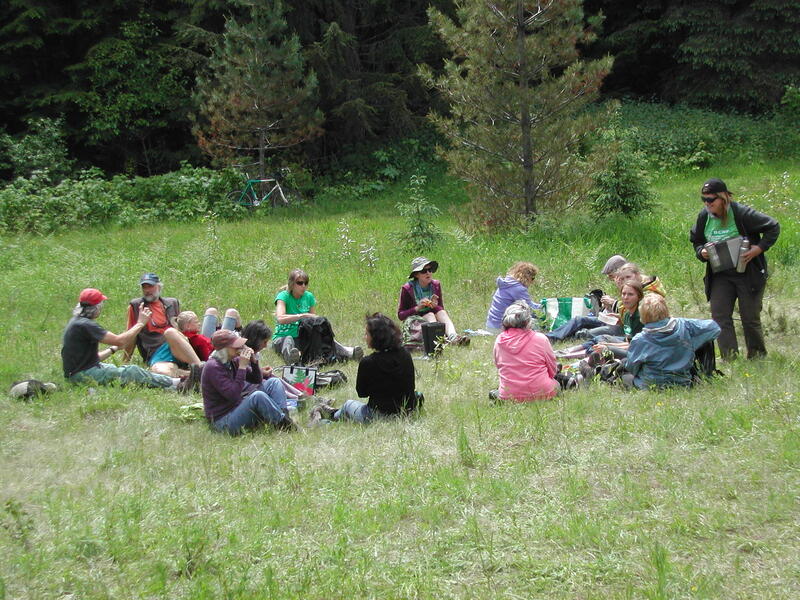 The Slocan Lake Research Center helped initiate the SWAMP collaborative program. The following describes the program. The report on the first phase of the project can be downloaded by clicking this link to the report . The Slocan Watershed is defined by the height of within the Valhalla and Selkirk mountain ranges to the east and west, respectively, as well as hydrologic divides to the north and south. Riparian habitat is defined as biologically rich areas adjacent to creeks and rivers; and wetlands are defined as those areas whose soil is either permanently or seasonally saturated. Healthy, intact thriving wetlands and riparian areas that provide habitat to diverse species and support natural processes throughout the Slocan Watershed. A team of people who love the Slocan Watershed; who acknowledge the importance of wetlands to the ecological and human health of this watershed; who are willing to learn and use recognized scientific methods for data collection; and who wish to share this knowledge with our communities to encourage greater stewardship of this critical habitat. The Springer Creek Restoration and Preservation Alliance web site is now on line springercreekrestoration.wordpress.com. At a recently held workshop on the Slocan saw mill site, there was a suggestion that restoration of the Springer Creek outflow into Slocan Lake should include a wetland.